Four FIU students will embark on a three-week expedition through the Arctic Ocean’s Northwest Passage later this summer. The students are Mark Barton, a Ph.D. student in Marine Sciences; Catherine Guinovart, an undergraduate student in Earth and Environment; and Kevin Montenegro and Talia Byerly, undergraduate students in biological sciences. They will join a team of 18 other undergraduates, graduate students and post-doctoral researchers on the three-week journey through the largely unexplored route. The Northwest Passage is a sea route connecting the northern Atlantic and Pacific oceans through the Arctic Ocean. For centuries, it has been unforgiving to those attempting to travel through it. However, the recent decline in Arctic sea ice has made the passageway more navigable. 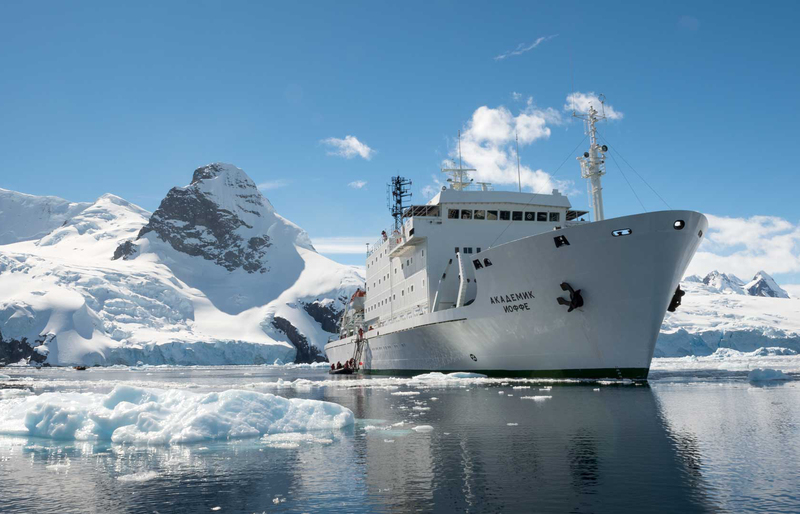 The expedition will explore the changing Arctic aboard the R/V Akademik Ioffe. Research projects include the physics of Arctic Ocean circulation, chemistry of the melting Arctic and surveys of Arctic habitats. Four students will board the R/V Akademik Ioffe later this summer for a three-week expedition through the Arctic’s Northwest Passage. The team of researchers will conduct the first interactive transmissions from the legendary passage, including several via Facebook Live. They will use the ‘Slocum Glider’, an autonomous underwater vehicle, which will take samples from the eastern waters of Lancaster Sound, a critical point in the Northwest Passage between the Beaufort Sea and Baffin Bay. The Inner Space Center of the University of Rhode Island is leading the expedition. A two-hour television documentary of the expedition will air in 2019.